Our apologies for not being able to broadcast the interviews live online. We had internet issues within the hotel and most of Friday’s interviews were postponed because the weather caused travel delays. We did record some interviews and they will be posted Wednesday on The Writers’ Lens, and the social media platforms for St. Louis Writers Guild and Missouri Writers Guild. Live from the 2013 Missouri Writers Guild Conference! This weekend writers from across the country will gather in St. Louis for the annual Missouri Writers Guild Conference. This year’s title, Bringing Writers Together, seems a fitting tribute to the spirit of the conference and guess what you can be part of it too! To showcase this event and its speakers, The Writers’ Lens partnered with St. Louis Writers Guild and Missouri Writers Guild to host a series of live webchats. Our hope is to expand the attendees' experience with greater depth to the workshop and highlight this wonderful conference. Plus for those who couldn’t make it or have never been to a conference you get an inside look at what the Missouri Writers Guild has put together and you’ll want to come next year. We will conduct a series of short interviews, about 10 minutes in length, with some of the conference’s speakers. If you watch live online you get to see the funny outtakes as we prepare, a bit of the back stage magic, but we edit those parts out for the final cut. More importantly, you can ask questions if you watch the live interviews. But don’t worry, if you can’t make the live broadcast, the interviews will be posted here on The Writers’ Lens, St. Louis Writers Guild's website and social media platforms, as well as on the Missouri Writers Guild’s sites. We will tweet when we are about to begin. You can also login to Livestream and you will be alerted to the beginning of the interviews. St. Louis Writers Guild’s Author Series is a monthly live broadcast held on the third Thursday of every month. To view the live broadcast and ask questions via text you will need to sign up for a free Livestream account. One of the fun things about these fight scene posts is the fact a lot of the information I am providing can be used in real life in a real fight. For the beginning of this series, please visit my Coffee with David blog will be linked at the end. George and Simon have been drinking heavily at a bar. Simon has been flirting with Diane, but she has been flirting with George. Simon is mad and decides to start a fight. Question 1: What objects are around in the setting? Obviously, the bar. There may be bar stools, tables, chairs, bottles, glasses, a juke box, a video game (I have seen hunting and golf games at some places), a television, a pool table (with pool balls and pool cues), and maybe musical instruments. There should be other people (at least the flirting Diane), the bartender (unless either George or Simon (or Diane) are the bartender. Maybe George or Simon have some friends who will come to their aid in a fight? Question 2: Who is the point of view character? Let’s pick Simon just because he is the one starting the fight. How would Simon view the fight? He is mad. He started the fight. Is he scared and hiding it behind bravado? Does he love Diane and feels hurt? The fight starts with the normal name calling and puffing up of chests. Then comes pushing and shoving. What would happen if Simon pushed George into a table? Write down your thoughts. I can easily picture George losing his balance—at least for a moment, during which he is vulnerable. He might knock over some things. But generally he is ok.
Now let’s escalate the fight. George grabs Simon, spins him around and releases hi,. What do you see as the possible outcome of this? 1. They have to pick themselves up off the ground before they can fight (unless they know some kind of ground fighting and they didn’t end up too far from George). 2. They could be injured. Simon just did an impersonation of a bowling ball. He might have the wind knocked out or even a broken rib. Kevin, because he just had Simon roll into him, could have a twisted leg, a broken tooth or nose (if he fell forward over Simon and did a face plant), he could have a fractured skull or be knocked out (if he fell backwards and struck a table corner just right). 3. What if Simon or Kevin roll into or fall on Diane? There are a lot of comedic situations which can stem from that. However, from a serious point of view, you now have another “Third person” who can be injured or hamper or even enhance the fight scene. Question 3: What would happen next? My response is Simon does a running tackle, tackling George through the bar window. Why? It’s a bar fight, so why not. Now, what is the result of using the window as “The Third Person”? Glass is shattered. It could have cut or killed either George or Simon. Depending on where the bar is, the shattering of the glass could draw unwanted attention. The glass could have flown into other people. George and Simon may have landed on other people. They could have hit a hard paved parking lot, sidewalk or parking tire stop. What other damage could have been caused? Are they able to still fight? Did Diane pour her drink on them both and walk away? Did the bartender take a baseball bat to them? Where are the bouncers? Question 4: How does the setting magnify any symbolization in the fight or symbolizes the fight? If you haven’t asked your self this question in your writing of a fight scene, you should on the re-write of it. You are passing up a great opportunity. The use of the third party can resonate the fight and the overall story symbolism in ways your reader will not realize until afterwards how the microcosm fits into the universal story you are writing. In a story, the setting and other characters should be brought into the fight scene to enhance the conflict. Fight scenes can seem chaotic, especially as you draw “the Third Person” into them, but this is where your craft and the story come together to meld the fight into the larger story. As a side note: In a real life self-defense situation, never forget “The Third Person.” It can be a handy method of escape or stopping the attacker or fight from escalating. * Scientific advancements in law enforcement. This list is far from exhaustive. If you have crime in your writing, you should be reading this publication.The magazine is available in PDF and updated every month. Electronic archives are available (as of when this is posted) the current month back to 1999. You can access this incredible resource from the world’s leading authority on crime at http://www.fbi.gov/stats-services/publications/law-enforcement-bulletin. Welcome to Gerry Mandel, whom I've had the pleasure of getting to know through the St. Louis Writers Guild. Gerry is a freelance writer, focusing on short stories, essays, plays, and his blog (when the spirit moves him). He has been published in Untamed Ink, Toyon, Big Muddy, and Palo Alto. 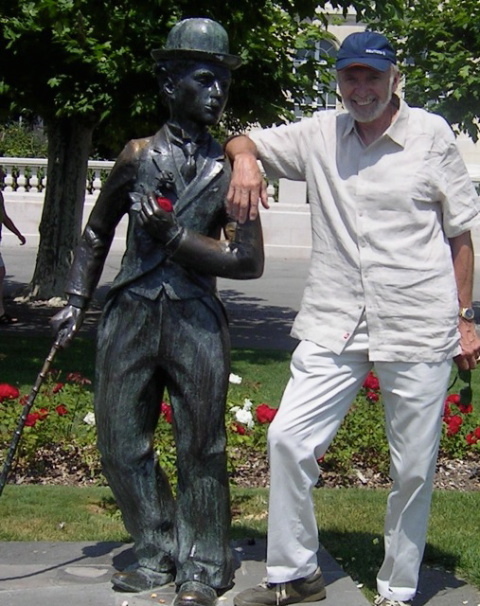 His novel about Charlie Chaplin, for whom he holds a lifetime passion, was published in 2010 and has been accepted by the Chaplin Archives in Montreaux, Switzerland. April 16 is Charlie Chaplin's birthday, so Gerry's dropped the Kindle price on SHADOW AND SUBSTANCE to $2.99 for the month of April! Several of Gerry's plays have been produced by St. Louis area theater companies. A documentary he wrote and directed about the Lewis and Clark sculpture on the St. Louis riverfront won an international award. He also produces video biographies for his company, The Life Preserver. He lives with his wife, Mary Lee, and two golden retrievers in Kirkwood. Comment on The Writers' Lens between now and April 30 for a chance at winning your choice of a print or ebook of SHADOW AND SUBSTANCE. Mentioning Charlie Chaplin will double your chances! Be sure to leave your email address. 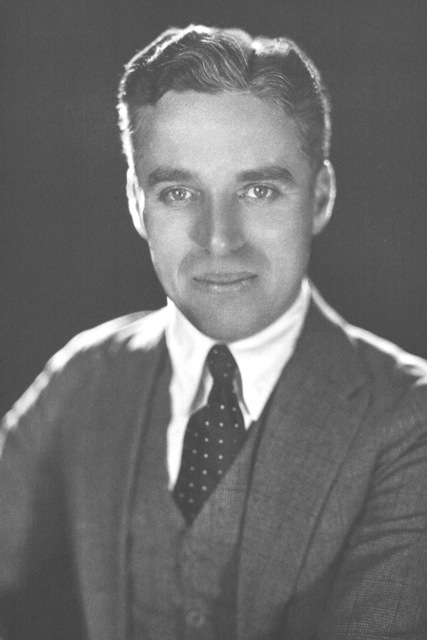 Chaplin lived after leaving the U.S. in 1952. What inspired your latest book? I remember the moment when the “What if...” inspiration struck. I was in L.A. producing music tracks for Busch Beer TV spots. This was during my “Mad Men” career in advertising. The session took place at night at A&M Studios, on LaBrea at Sunset Blvd. The “A” is for Herb Alpert, who made a fortune in the 60’s and 70’s with the Tijuana Brass. With his pot of gold, he bought what had originally been the Chaplin Studios. One of the sound stages had been left intact and was declared a Historic Landmark. Around 10:30 or 11:00 on this particular night, Perry Botkin, the guy heading up the recording session, called for a half-hour break. Instead of talking with the musicians, as I usually did, I thought, “I wonder what the Chaplin stage feels like at night.” I walked down an empty hallway that led to the stage. The heavy metal door was unlocked. I opened it and peered into the dark space. Only the four red glowing letters in “Exit” offered any light. I stepped through, closed the door quietly behind me - I wasn’t sure if it was okay for me to be in here - and walked into the room. I made some notes in my hotel room that night, while the idea was fresh. Several years later I completed the first draft of my novel. the way I "saw" him in my novel. What do you think readers will like about your book? This is a question that always stumps me. What I think readers will like is often different from what they tell me they like. As far as my Chaplin book goes, my best guess is the aura of Hollywood today and yesterday; the portrayal of Chaplin in a realistic and entertaining manner; the flight of fancy I engage in as Charlie and the protagonist (Cooper Thiery) move between the present and the past. After that review, I really didn’t care if I ever sold another book or not. Kevin made it all worthwhile. Would you share a bit about your next project? I’ve started two of them. One is fiction. Working title: “The Eulogy Club.” A group of 4 friends decide to deliver eulogies to their friends while everyone is still alive and can appreciate the sentiments. Except some unexpected and unwanted observations arise. This, coupled with the male reluctance to appear vulnerable, causes some problems, threatens their relationships. Right now the “book” is somewhere between humorous and dark; I’m not sure where it will end up. The other is non-fiction. This comes from my fascination with Chaplin. I’m considering a close look at his decision to make “The Great Dictator” in 1940 (actually began work on it in 1939) when everyone else in Hollywood was afraid to upset Hitler and Nazi Germany for fear of losing box-office. 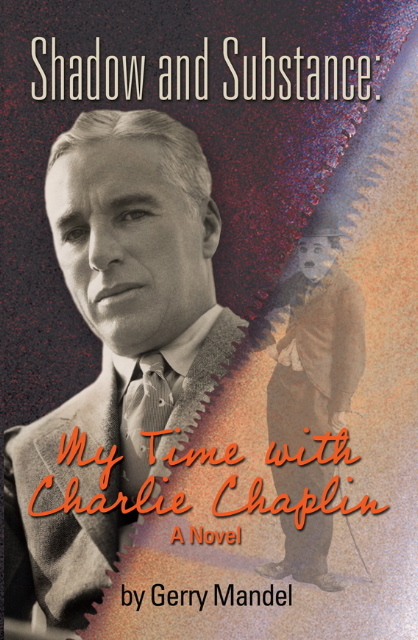 The book would say a lot about Chaplin’s brave stance and Hollywood’s cowardice. I'm more comfortable with fiction, and have never tried a non-fiction book. Still, the subject intrigues me. How much fact is in your fiction? 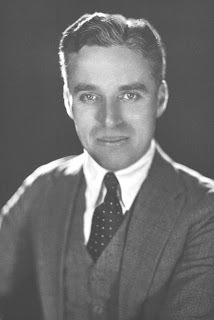 My novel is based in fact - on the character of Chaplin, his personality, his achievements, his fears. His relationships with W. R. Hearst, Roscoe Arbuckle, his mother. But many of the events are fiction. I made up several situations and encounters that never took place but I felt were necessary to keep the reader involved. The process of researching and writing a documentary in Hollywood is also factual. The landmarks, clubs, restaurants, parks, streets of Hollywood - now and 80 years ago - are real. I spent a lot of time in L.A. when I was in advertising. Several people who read the book, and know something about Chaplin’s life and career, have asked me “Did that really happen?” Which tells me the fiction was close to acceptance as fact. I think that’s paramount in this kind of novel, dealing with real history and characters. The fiction has to flow seamlessly from fact. The time travel device is, obviously fiction. At least I think it is. What are your top three reasons for writing? I have just one reason, with many sub-reasons. The driving force is because I have to write. When I don’t write, I get irritable, impatient, critical of other writing, tough to be around. Just ask my wife. The act of writing, of moving it from my head onto paper or onto the computer screen, is pleasurable and fulfilling. I often ask myself, “Am I wasting my time?”, but I’ve pretty much learned to silence that inner critic. The sub-reasons include the need to “move” people, much as a musician might do with a soulful blues or a magnificent piano concerto. There's also a "look at me" element in there. I'm proud of being a writer. Also, I like to see see where the initial spark leads. Often it surprises me. I have no idea usually where the journey I’m about to take will end up. I know, some writers and instructors say, “You need a plan, an outline, a map. Otherwise how do you expect to get there?” I don’t feel that way. I like the thrill of the journey, the unexpected turns in the road, sheer drop-offs over cliffs, thunderstorms and rainbows. My third reason is simple. I can say, when it’s finished, “I did that.” Even if it never gets published, it’s still mine. Of course I’d rather everything I wrote got published. Several years ago, a movie with Christopher Reeves had a wide audience. It was “Somewhere in Time,” a love story the moved from today back in time. Prior to that, there was a novel by Jack Finney, “Time and Again.” It is considered a classic today, even though it deals in a realistic way with time travel. As a writer, I know I took a chance with time travel. That didn’t matter. This is the story I wanted to tell, in a manner in which I told it. SHADOW AND SUBSTANCE: Hollywood, today and during the 1930's, is the setting for this intriguing tale of an unknown writer, and a world-famous film artist who died over 20 years ago. The project becomes a conflict of loyalties, as the writer finds himself torn between his drive to succeed and his desire to protect Charlie Chaplin. Enter Charlie, now confronting the man whose job it is to discredit his legacy. Dr. Gallenberger is a clinical psychologist with thirty years experience as a therapist. His interest in human potential led him to explore how we can manifest what we desire. He has investigated psychokinesis, which is the ability to influence matter through non-physical means. PK can be used to bend metal and plastic, sprout seeds in your hand, influence dice and slot machines, and create healing and abundance - all just using the power of your mind. Autographed print copies of Inner Vegas available at Gallenberger’s website, SyncCreation.com, through Amazon in print or on Kindle, and at Barnes and Noble. Welcome to Dr. Joseph Gallenberger, whom I first met a couple of years ago as an instructor at The Monroe Institute. As a senior TMI facilitator, he developed the Institute’s highly successful MC² program, which teaches psychokinesis (PK), healing, and manifestation. Joe also developed SyncCreation®, a course in manifestation, which is the home-study version of the MC² program. Dr. Gallenberger helps individuals and businesses become more creative and productive. A dynamic, heart-driven speaker, he is in demand internationally as a workshop presenter. His latest book INNER VEGAS: CREATING MIRACLES, ABUNDANCE AND HEALTH, takes us on a wild ride into world of psychokinesis where mind, energized by the heart, influences matter. INNER VEGAS will surprise you as it reveals what is possible when we apply intention and heart-centered energy to mold reality to our desires, and it will show you how to tame the dragons you may encounter along the way. For more information visit Dr. Joseph Gallenberger’s website: www.SyncCreation.com. How do you find time to write and do a demanding job? I am bursting with creativity and always have multiple projects going on. I am on the road teaching about 20 weeks a year. When home, I set aside time for designing CDs, courses and writing books. What do you think readers will like about your book? That it is a true story of my journey and shows how much potential we have to create a beautiful reality for our selves and how we might accomplish this based in science and practical experience. What's the highest compliment someone could make about your writing? That is was clear, interesting and changed their life for the better. INNER VEGAS: CREATING MIRACLES, ABUNDANCE AND HEALTH-Quantum Physics, PK, and Miracles of Manifestation and healing…all in the casinos of Las Vegas! Dr. Joe Gallenberger takes us on a journey of consciousness into the wild world of psychokinesis (PK) where the mind energized by the heart influences matter, resulting in seeds growing in a few minutes, lights lighting without being plugged into electricity, metal bending with a thought, rolling what you are thinking on dice, and where miracle healings become possible. INNER VEGAS is a guide to using psychic abilities to create miracles in your life. It is grounded in science, experience, and astounding stories of success. Dr. Joe’s surprising discoveries take place in university laboratories, the prestigious Monroe Institute and even casino’s. INNER VEGAS will surprise you as it reveals what is possible when we apply intention and heart-centered energy to mold reality to our desires, and will it show you how to tame the dragons that you may encounter along the way. This is T.W. Fendley. Thanks for reading and commenting on The Writers' Lens. You can find out more about me at www.twfendley.com. Poetry Books for National Poetry Month! Poetry, we celebrate it for one month once a year in a giant festival… okay, so most of us will just write a couple of poems in April to join the celebration. But there are those people, poets, who breathe rhyme and speak in a strange language with words like iambic pentameter. They are elusive writers, but can usually be found at an area café open mic, or at one of the many readings held almost every night of the month. They may not use 100,000 words, but the few words they do use are chosen with extraordinary care. Recently, St. Louis Writers Guild hosted a night dedicated to the Missouri Poets Laureate. SLWG teamed with St. Louis Poetry Center and Maryville University to bring all three Missouri Poets Laureate together on one stage for the first time. The post of Missouri Poet Laureate was created in 2008, when Walter Bargen was selected. He was followed by David Clewell in 2010, and now William Trowbridge is the current poet laureate. The evening which could have descended into high brow over-culture, turned out to be a showcase of how poetry can entertain, with readings that included pieces about nature, alien conspiracies, and even Bigfoot. Laughter filled the auditorium, and excitement kept the audience on the edge of their seats for all three poets. A successful night by all accounts. So if you are looking for some great poems to celebrate National Poetry Month, allow me to share these books of poetry. His sixth collection, Put This On, Please: New and Selected Poems, will be published in 2014 by Red Hen Press. Is the author of eight collections of poetry, two book-length poems, and has been represented in more than fifty anthologies. Has published fourteen books of poetry and two chapbooks. While we are talking about poetry, I thought I’d mention a few more poets you might want to read. First allow me to highlight Missouri’s Senior Poet Laureate, Faye Adams. She is serving her second term at this post. Faye Adams is a wonderful poet and children’s author. Now it’s your turn, help us celebrate National Poetry Month by sharing your favorite poet, book of poetry, anthology, or poetry journal in the comments section below. Also, if you want, you can participate in NaPoWriMO – National Poetry Writing Month, which is a competition to complete one poem for every day in April.